I am a huge fan of matcha tea for it’s taste and health benefits. I visited Japan last year and had the most incredible experience drinking traditional (and delicious) thick matcha tea. Ever since, I’ve been researching matcha and trying different brands to figure out which ones I like best. Right now I drink matcha every morning to get my dose of antioxidants and energy. I’m secretly hoping this stuff will help me live to be a very old, healthy, and happy person :). All of the following recommendations are produced by top companies, secure to buy on Amazon, and highly recommended by other customers. Most of these are also all ceremonial grade matchas, which is the highest quality made for drinking with hot water instead of for cooking. 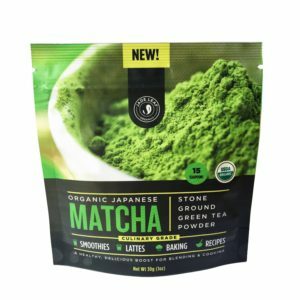 I highly recommend trying matcha! Kenko Tea, based in Melbourne Australia, only produces matcha powder. 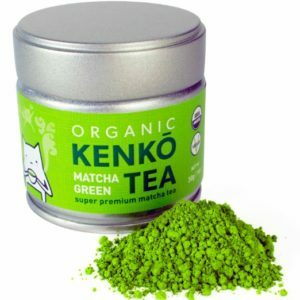 Their product is guaranteed to be fresh because they only order in small batches, meaning all of Kenko’s matcha was only ground to order within the last month. This means no bitterness, vibrant green tea, and a fresh grassy smell. They source all of their matcha from the Nishio region of Japan, which is the largest green tea producing region of Japan. Lastly, this company has amazing customer service. You can see that most of the questions on Amazon are answered by Kenko Tea’s founder. Definitely give Kenko Tea a shot! 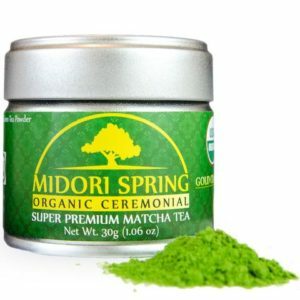 Midori Spring only makes Matcha Tea. Their tea leaves come from their organic tea gardens from Aichi, Kagoshima, and Kyoto Japan. Their founder started Midori Spring in 2015 after extensive tastings and search for the best Matcha tea leaves. 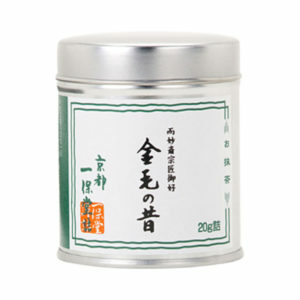 This is one of the highest quality matcha tea powders, that could be used for ceremonies in Japan. And it’s not that expensive so at least give it a try! Enzo has been making matcha for over a decade with farmers in Japan. The founder was a coffee addict looking for a healthier boost of energy (just like me!) and traveled to a tea farm in Japan. Their tea is organic and has been reviewed by hundreds of customers. 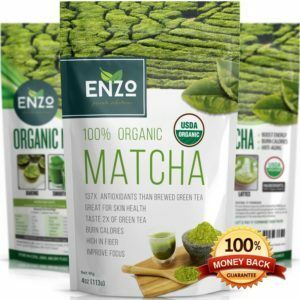 At a price that is much lower than some of the others on this list, Enzo could be a good way to get started with matcha. Kyoto Ippodo Authentic Matcha is a ceremonial matcha tea directly from Japan. This tea is recommended by ceremonial tea masters as being one of the best. This is a very popular brand in Japan and one of the only ones that is available for shipping internationally. It’s a little bit more expensive than the other brands and has less of a recognizable brand, but this stuff is the real deal and it tastes wonderful. 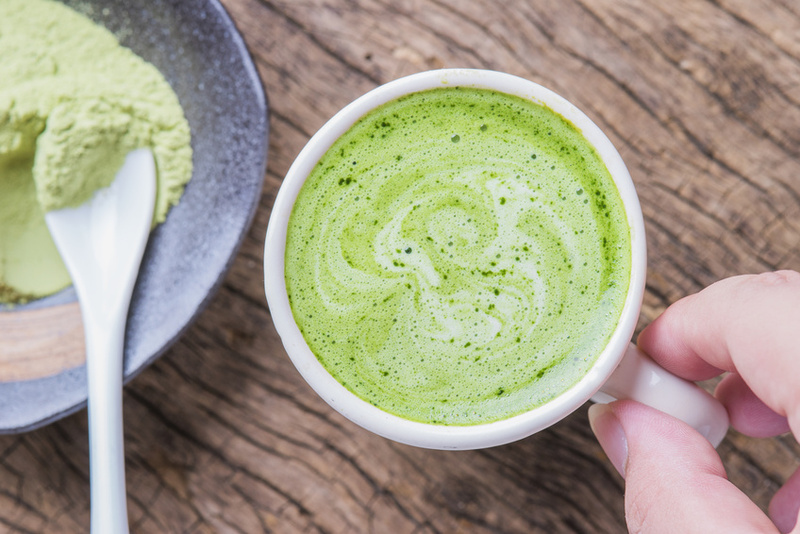 Jade Leaf set out to make an inexpensive matcha tea so that everyone could get the wonderful health benefits of matcha. They have partnered with farms in Japan to source pure organic matcha. This particular product is their culinary grade matcha for only $9.95 that could be used for blending in smoothies. This is the most affordable way to go.